If you are looking for a durable metal fencing option – a security fence that will keep your business or commercial property safe – then steel commercial fencing is a great option for you! 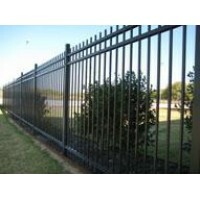 Select from a range of Ameristar steel industrial and commercial fencing products, all of which provide the ultimate in strength, possess the distinctive look of wrought iron, and are coated in a maintenance-free finish. 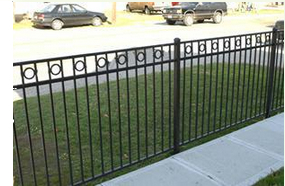 We also offer a complete line of Iron World steel swing gates, which are designed to complement multiple styles of metal fencing while enhancing the safety of your security fence.